The tech-heavy exchange is paying $705 mln for eVestment, a data provider to asset owners and managers. It’s pricey at over 16 times adjusted EBITDA. But CEO Adena Friedman sees more value in information that brings buyers and sellers together than in acting as a trade conduit. Pedestrians walk past the NASDAQ MarketSite in New York's Times Square, June 4, 2012. Nasdaq said on Sept. 5 it had agreed to acquire eVestment, a provider of data and analytics to asset owners, managers and consultants, for $705 million. The purchase price is 16.5 times the target’s expected adjusted earnings before interest, tax, depreciation and amortization for 2018. The company said it is targeting revenue synergies of $8 million to $10 million over three to five years. EVestment provides investment performance and other data to some 2,000 clients, including more than 90 percent of the 50 largest asset managers and 70 percent of the top 20 pension funds. 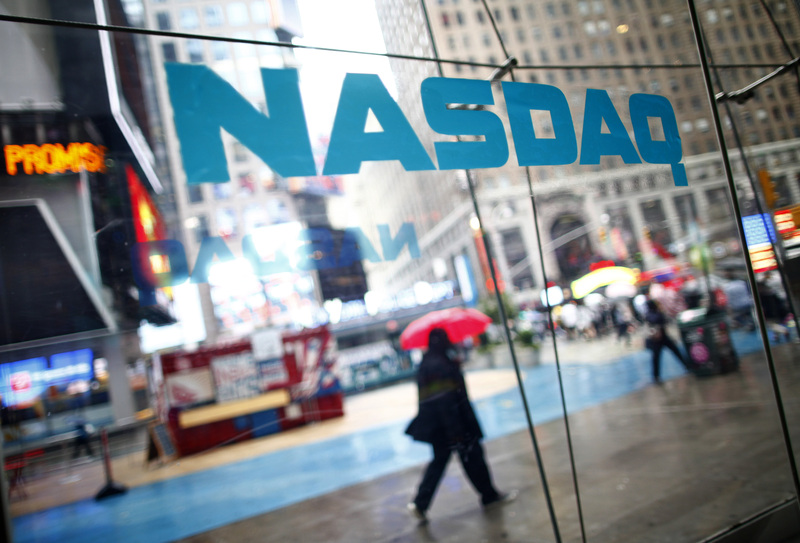 The deal “will further expand our buy side relationships, accelerate our growth opportunities, and advance our objectives to deliver proprietary analytics to our clients,” said Adena Friedman, Nasdaq’s chief executive.